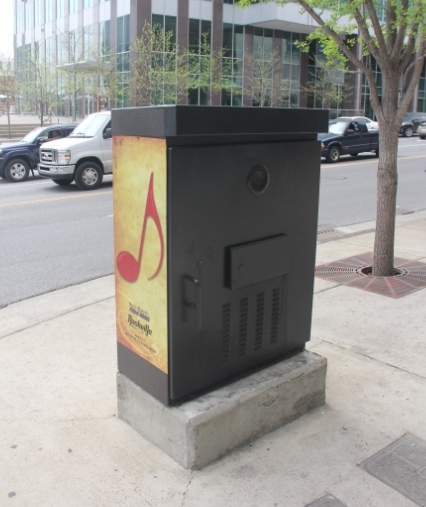 Nashville is so cool that there are free jukeboxes on the streets, so you can listen to music all the time. Our time here has been all about food (way too much) and live music (never enough). We’ve enjoyed the banter of the musicians, the wit of the lyrics, and the fiddling duels of the devil going down to Georgia. We’re sorry to be leaving. This morning we took a walkin’ tour of Nashville with Bill DeMain, a music industry journalist and self-confessed music nerd. Of all the many surprising and fascinating things he told us, one that stood out was that country music nearly died in the late 50s. Hank Williams had recently died, leaving a void, and Elvis was ruining it for country stars by developing that hip new rock ‘n’ roll thing. The genre was saved by Chet Atkins, a virtuoso guitarist and country singer himself, but also the producer for RCA Studio B. He was responsible for creating The Nashville Sound, a form of country singing that encouraged a crossover between pop and country. He turned down the fiddle and banjo, and turned up the drums and guitar. It was an inspired move that allowed stars such as Dolly Parton to have hits in both types of music. Had Chet Atkins not enabled country music to evolve like this, it may have remained frozen in time, like swing. 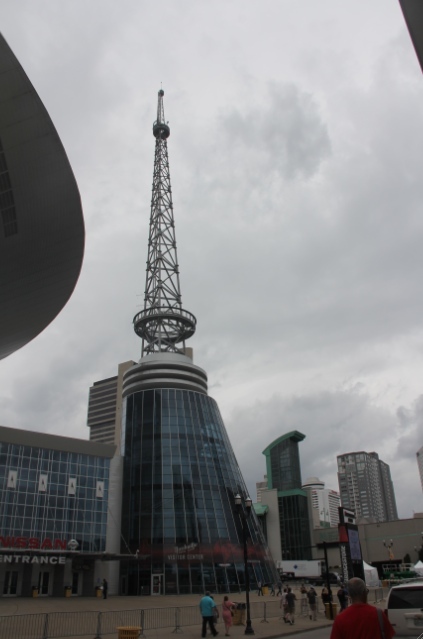 The other thing that amazed us was that Nashville became a huge music centre for one reason and one reason only: its radio antenna, at 55 ft, was more powerful than any other city’s. This meant that its reach was farther, and its singers could be heard in more cities in America. More reach meant that more singers were drawn to the city, and the producers followed the talent. A replica of the original WSM radio antenna that was responsible for making Nashville the epicentre of country music. This one sits on top of the Bridgestone Arena, where Stevie Wonder played last night (though not to us). I enjoyed hearing about Nashville- thank you so much for the informative essay. I think I can “brag” some knowledgeable snippets of information on Country music now! Enjoy the rest of your trip if you are still away. G is head down studying now – but with sensible breaks of course.